This week, the travel theme at Where’s My Backpack? is: Sensory! OK, look. There’s a part of me that wants to make crap jokes asking “are you ready to be stimulated?” *tee hee* but then I think, what am I, twelve? My struggle is real. Onward to maturity! Here’s to our senses, and please enjoy the ride. Paris. There are small ponds in the park that surrounds the Eiffel Tower. 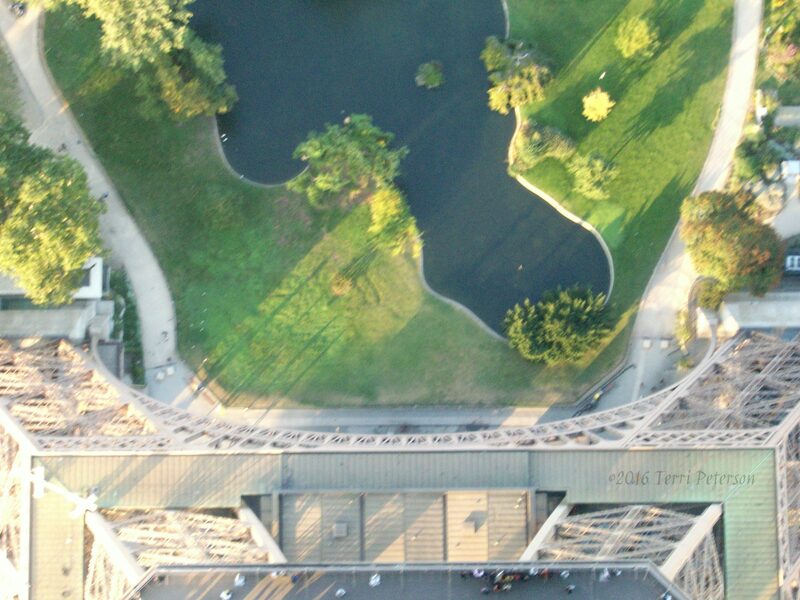 If you lean over the railing and look straight down from one of the upper observation decks, you can see them for yourself. And it’s a little disconcerting. Note: if you have vertigo, perhaps you should avoid this exercise. Watch that first step. It’s a doozy. 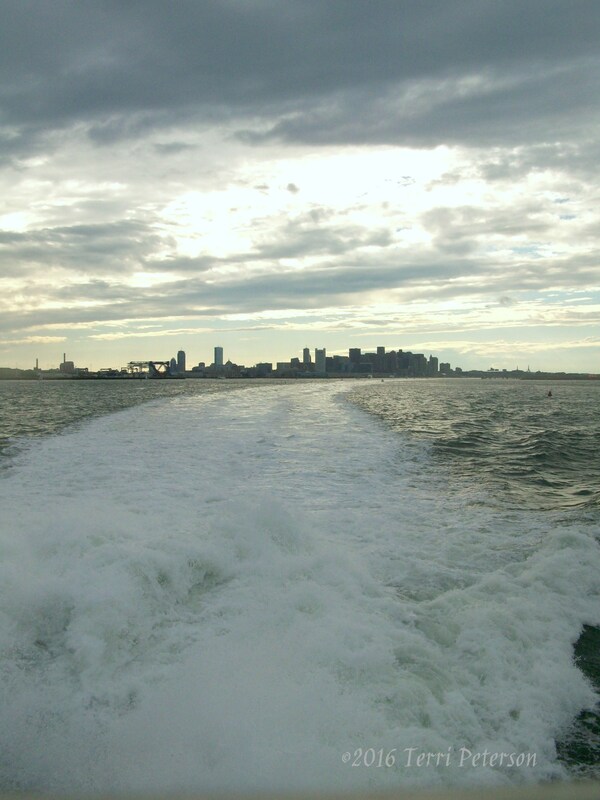 There’s something profoundly invigorating about getting on a boat. At least there is for me. When I’m on the water and the smell of the salty air hits me, and boat’s engine roars to life and we are seaward bound, and the wind whips my hair around my face, I feel everything come alive. I think I was a sailor in a past life. 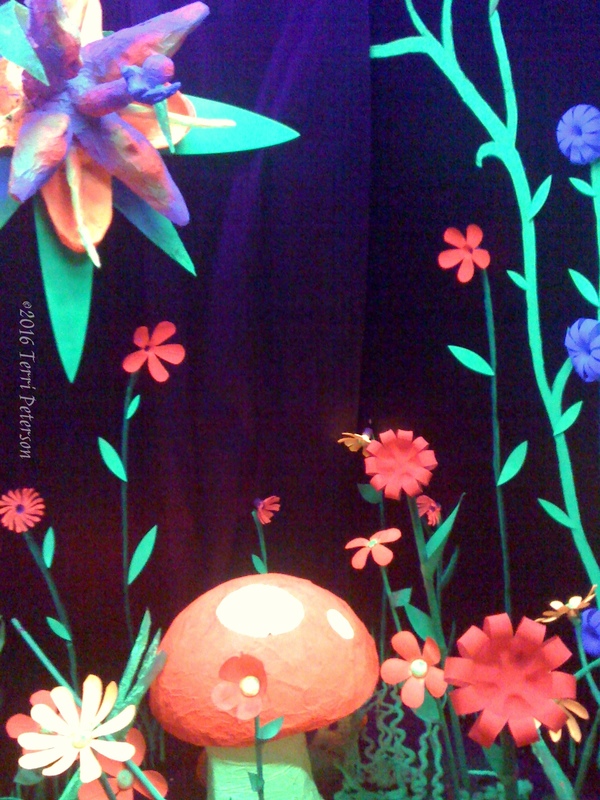 Welcome to the Day-Glo Garden at the Great Lakes Science Center. Fun fact: I totally want to build an inner sanctum that looks like this. With a killer stereo system and all the streamable TV I want. Because really, this is what things look like inside my brain most of the time. Hashtag when I am a millionaire. The only thing this is missing are tiny sparkly pixies. Go to the Jewish ghetto, find a nice place to eat with sunny, pleasant outdoor seating and, if the fried artichokes are in season, eat them. 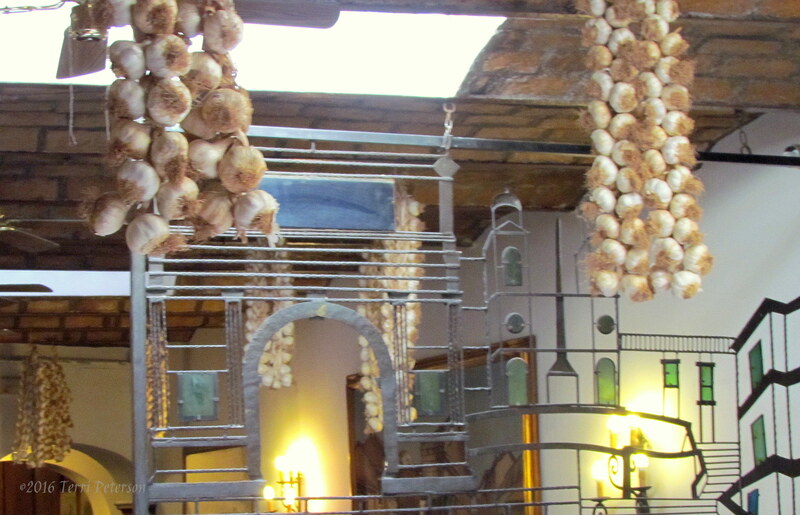 When you go inside to use the restroom, prepare yourself for the smell of garlic wafting down from the rows and rows of corded bulbs hanging from the ceiling. And nary a vampire to be found. Savvy. Behold! 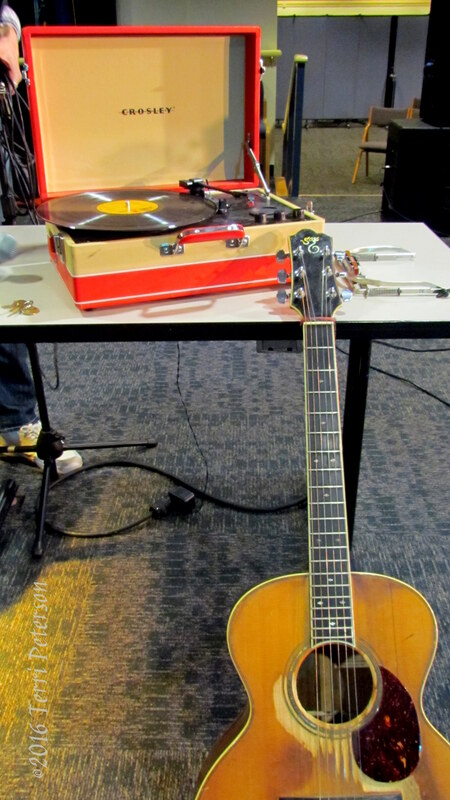 Music is just moments away with this handy-dandy travelling turntable and a trusty guitar. Photo taken at an Ellis Paul concert. Who I need to go see again, soon, but I digress. Looks like someone has the party well in hand. My place. 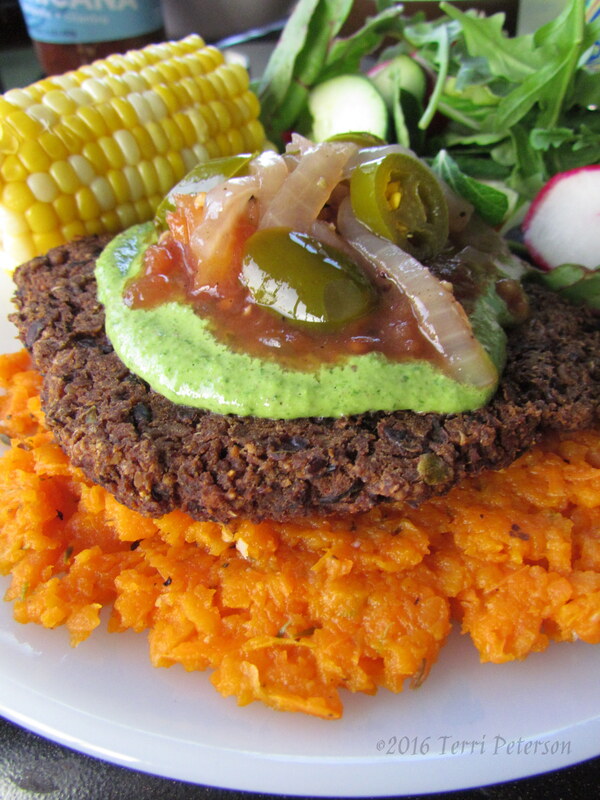 Black bean burgers with cilantro pesto on a bed of shredded sweet potatoes. It was delicious. My mouth is watering at this photo: Paging Dr. Pavlov! I like vegetables. That is all. Therein lies my sensory challenge. I hope you have fun checking out the other participants in this week’s photo challenge. Thanks for dropping by! Well thank you! Those are mighty kind words. I always enjoy your posts, too. Well, those pics sure challenged my senses! Beautiful!